Roquette, a French family group with an international dimension, processes renewable raw materials: maize, wheat, potatoes, peas and micro-algae. 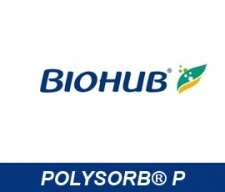 Among the 5 global leaders in the starch manufacturing industry, it offers its customers a wide range of products and solutions in the fields of human nutrition, pharmacy-cosmetology, paper-board, chemistry-bio industry and animal nutrition. Present in over 100 countries, Roquette has a turnover of over 3 billion euros. The group employs more than 7 800 staff. Its development, focused on nutrition and health and plant-based chemistry, is based on a strategy giving preference to the long-term, innovation and the commitment to achieve. Its mission: «Serve men and women by offering the best of nature». 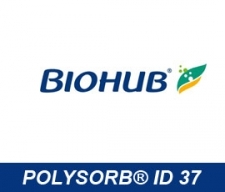 The Polysorb ID 37 is a 100% bio-based plasticizer, alternative to conventional plasticizers such as phthalates, used for the lamination of thermoplastics, including PVC, for the production of floor coverings, office products, technical textiles or even garden hoses. Isosorbide is a bio-based heterocyclic diol derived from European agricultural resources. Roquette has several ranks, including the purest is used for the synthesis of high performance bio-based polymeric materials (polycarbonate, polyester, polyurethane ...).